The following statuses are available in Hub Planner. An archived resource is removed from the bookings grid and blocks the user from logging in to the system. 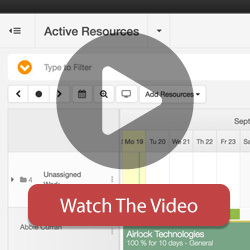 You can still generate reports and analytics on Archived Resources. This prevents resources with this status appearing on the bookings grid. This is useful if you want to add a CEO or other resources in the management or finance teams who want to use the tool but don’t need to be available for booking. Please note that Parked resources do not count towards your active and current resource limits. If you park resources, this will not automatically adjust your resource allocation amount through billing. You will need to downgrade your account limits via the settings billing page in order to make billing adjustments on your overall resource limits.